Maybe it's time for employers to embrace the occasional bit of procrastination. That is, supposedly, the amount of economic value that will be lost today due to producitivity disruptions, when America experiences a total solar eclipse for the first time in almost 40 years. 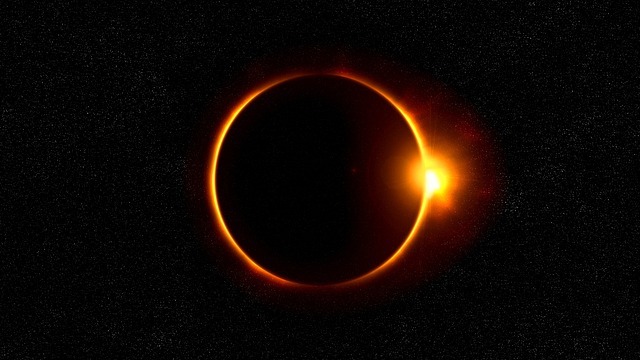 On Monday afternoon, US time, millions of Americans across 14 states will have the opportunity to witness the total eclipse, while many others in the rest of the country – and in parts of South America, Europe, and even Africa – will get to experience a partial eclipse. Dubbed as “The Great American Eclipse” or alternatively “The Eclipse of the Century”, it’s safe to say that the event is a once-in-a-lifetime experience. So why the obsession with lost productivity during it, and quantifying that supposed loss? As technology website Recode points out, the figure – calculated by outplacement firm Challenger, Gray & Christmas – assumes that people spend every single moment of work, on, well, work. It doesn’t take a solar eclipse to keep workers from being productive. As it happens, Singapore will be on the other side of the planet when the eclipse occurs, but that hasn’t stopped us from being (allegedly), the world’s least productive country. If not a total eclipse (of the heart), distractions can take the form of Facebook, Candy Crush, or even the latest water cooler gossip. But these distractions are hardly the root of all evil. In fact, neuroscientist Gabija Toleikyte writes in the Guardian that regular breaks are good for the brain, and for productivity. She suggests that “10 minutes every hour is ideal”. Trying to ban all form of distractions from the office, whether that means stopping your workers from checking out an unusual natural phenomenon, or blocking social media websites on the work server, is more likely than not to backfire. A study by Evolv found that social media “power users” aren’t just more productive at work, but also happier, and more likely to stick around for the long term. Ultimately, it’s worth remembering that humans are flawed and far from perfection. And that’s okay. Don’t sweat the small stuff: aim your efforts at creating a nurturing and open environment, and your people will excel – even if they do occasionally waste a few minutes on fantasy football. For more of HRM Asia’s take on today’s real world business issues, head to the dedicated Analysis forum. The cuts will mainly affect migrant workers at Motech, one of the world's biggest solar cell manufacturers. Talent Plus earned its second Readers’ Choice Award for 2018 in the highly-prized category of Best HR Consultancy.